A year ago today, I taught a photography workshop in San Francisco. The students practiced “getting closer.“ I encouraged participants to acknowledge discomfort and create support networks. As I wrote last year, “Photographers build bridges to people who are lonely,” but we often forget to build our own bridges. 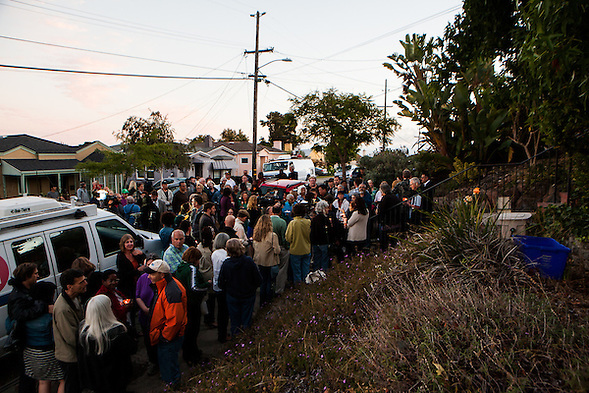 Three months after the workshop, I photographed a neighborhook candlelight vigil. Our neighbor, Judy Salamon, had been shot and killed in the neighborhood. I rushed over to the vigil “to get closer.” Perhaps I believed that if I got close enough, I could help. Lately, I have been pulling back, because I lost my focus. I needed a bridge. 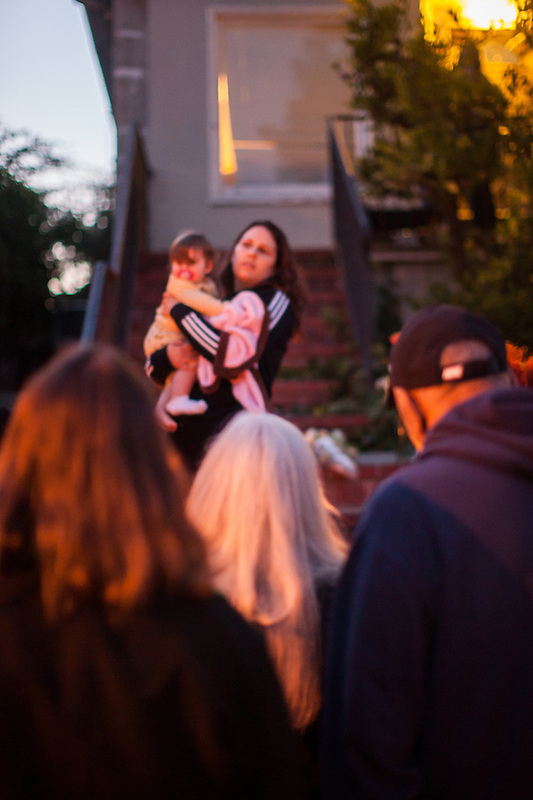 Yesterday, Oakland Police announced that two men were charged for murdering Salamon. 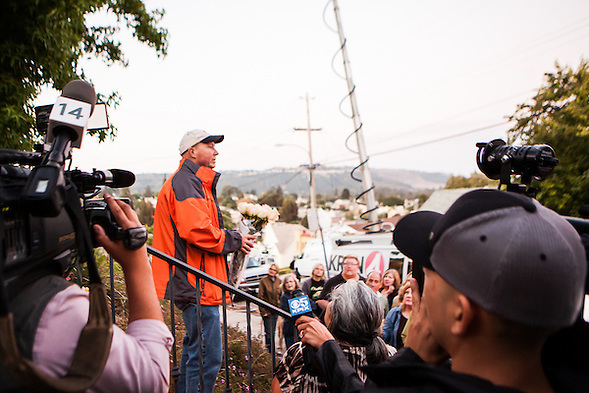 According to several publications and interviews, OPD claim that Salamon filmed the two men after witnessing a crime. She was shot when she would not relinquish her phone. I do not know what would have happened if Judy had avoided the alleged shooters or relinquished her camera phone immediately. Professional journalists are killed every year. The Committee to Protect Journalists tracks the numbers. Since 1992, more than 1,000 journalists have been killed. Though the CPJ was founded for journalists, its mission is “for anyone who cherishes the value of information for a free society.” Judy wanted our neighborhood to be more free and in her effort to “mold a new reality” for Maxwell Park, Judy may have gotten us closer. This entry was posted on Friday, April 25th, 2014 at 11:58 pm. It is filed under Journalism and News and tagged with Judy Salamon, Maxwell Park. You can follow any responses to this entry through the RSS 2.0 feed.